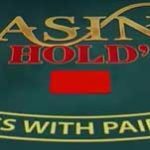 What is Live Casino Hold’em? 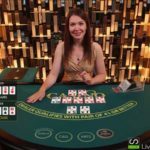 Live Casino Hold’em is a variant of the classic Five Card Poker that’s been developed to play against a dealer, rather than other players. Its rules are based loosely on Texas Hold’em, where players are dealt an initial two cards and then 5 community cards. The player that makes the best 5 card poker hand wins. In Casino Hold’em, only two hands are dealt. The dealer and player positions both get two cards. The 5 community cards are dealt and the side (Player or Dealer) with the better poker hand wins. The dealer and player positions both get two cards. The 5 community cards are dealt and the side (Player or Dealer) with the better poker hand wins. The game is played with one deck of 52 playing cards which are shuffled for each new game round. Players win when the dealer doesn’t qualify. 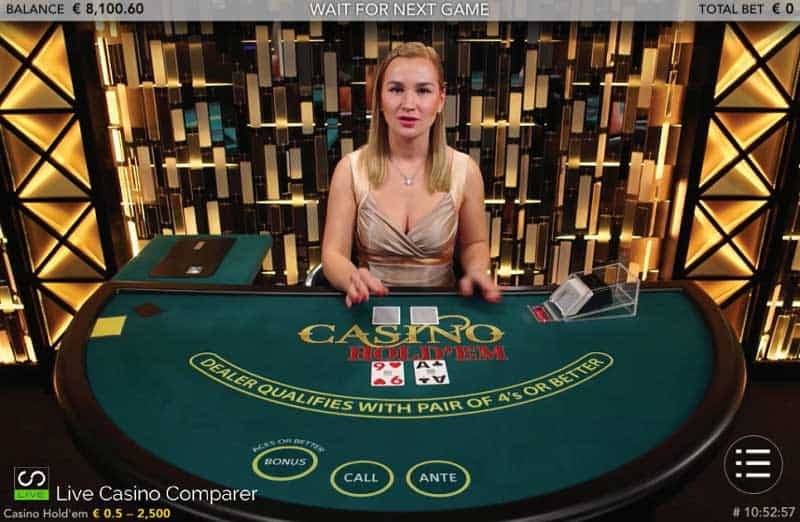 Evolution Live Casino Hold’em is probably the best version of the game you’ll find at any live casino. The Bonus – which is an Aces or Better Side bet. The Jumbo 7 Jackpot side bet for the Progressive Jackpot. The Progressive Jackpot is only available at Live Casinos that have opted-in. A proportion of every bet gets added to the jackpot and only those players playing it will benefit from the payout if it hits. It’s a network jackpot meaning all qualifying casinos contributes to the pot. The game is played with one standard deck of 52 playing cards. You’ll see how many are playing within the Lobby or when a hand wins, as all the names scroll up the left-hand side of the screen. In Evolution Live Casino Holdem the game round starts with the betting. 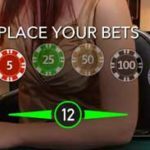 There are three bets that the player can place. Ante – This is the initial bet to play the game. Bonus Bet – This is an optional bet that can be placed alongside the ante bet. 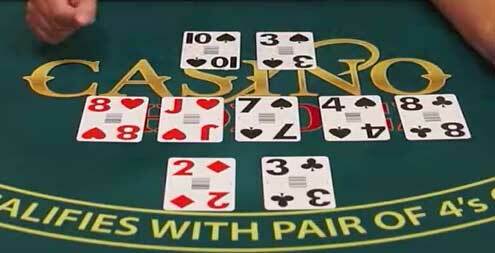 It pays out only on the first 5 cards and only if the hand has a pair of Aces or better. The Bonus bet pays enhanced odds. See the table below. Jumbo 7 Jackpot Bet – this is for the Progressive Jackpot, and will payout the jackpot to all players who have placed the bet when a 7 card straight flush is dealt. There are other prizes for lesser hands that are paid for enhanced odds. See the table below. 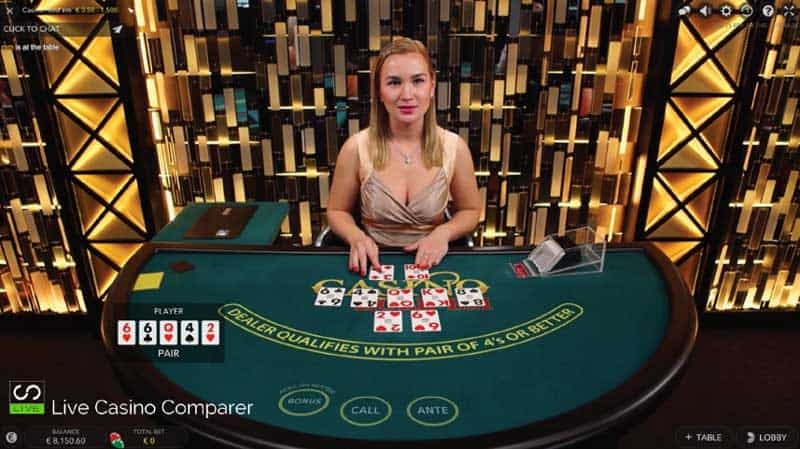 Once all bets have been placed the live dealer deals two cards face up to the players’ position, two cards down to the dealers’ position and then 3 community cards, the Flop, face up. 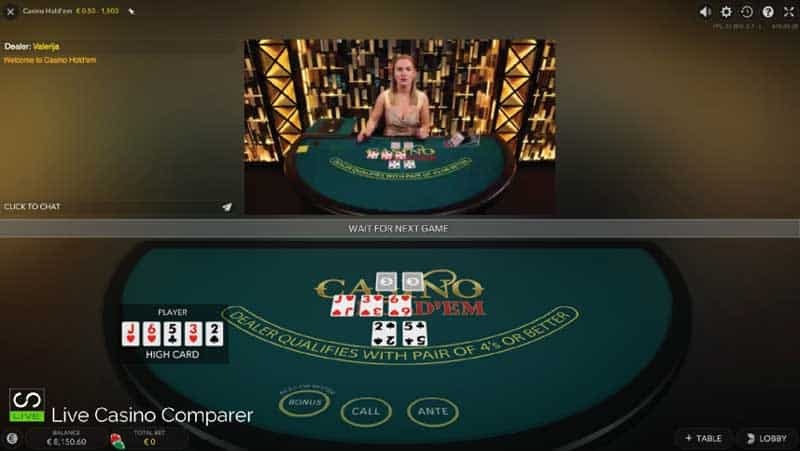 The player then makes his choice to either play the hand by placing a Call Bet, which is equal to the amount placed for the Ante bet, or folding the hand. 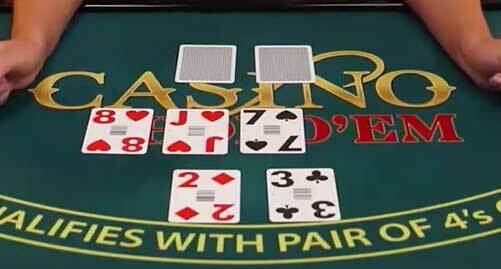 If you fail to make a call bet in the time allocated your hand is automatically folded. If the hand is folded, the Bonus and Jackpot Bets still remain in play and will be paid if a winning hand is made. The dealer then deals the two remaining community cards, the Turn and the River. He’ll then reveal his two cards and in the Showdown the player with the better hand will win. The dealer must have a hand of a Pair or Fours or higher to order to Qualify. Basically, the player wins if the dealer doesn’t qualify, the Ante bet is paid to you and your Call bet is returned. This is paid when the dealer doesn’t qualify or when he does and you beat his hand. 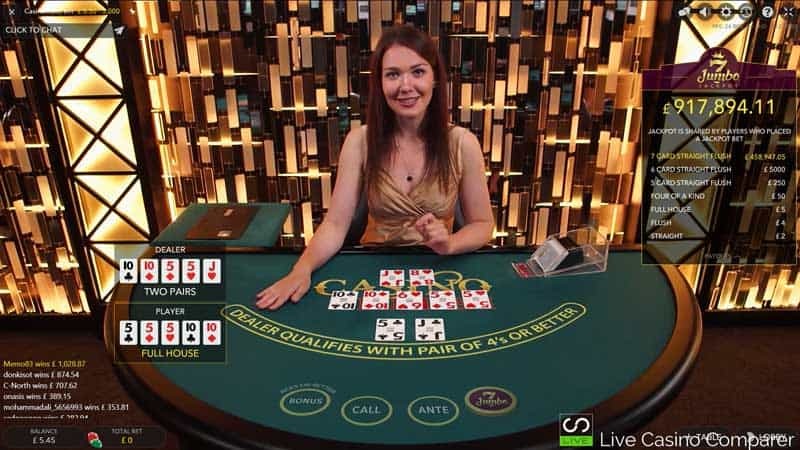 A Push is declared if the Player and Dealers hands are the same. The Bonus Bet is paid out on the value of the first 5 cards and must be equal to a Pair of Aces or more. It’s paid out regardless of whether you win or lose against the dealer. For the top hand, all players playing the Progressive jackpot win a share. For the lesser prizes, the payouts are made directly to each player. N.B. The initial bet is not returned as part of the payout. There are two versions of the playing interface for those playing on a desktop. What one you get depends entirely on your Internet Connection speed. There are three levels of quality for this. You start off on medium, if your connection can take it you’ll be reset for full HD and if you’re struggling you ‘ll get the low bandwidth setting. Mobile users can play on Smartphone and Tablets. The playing interface is available only in Horizontal mode (Landscape). You get to play in Fullscreen unless you have a slow connection when you’ll get the Classic View. 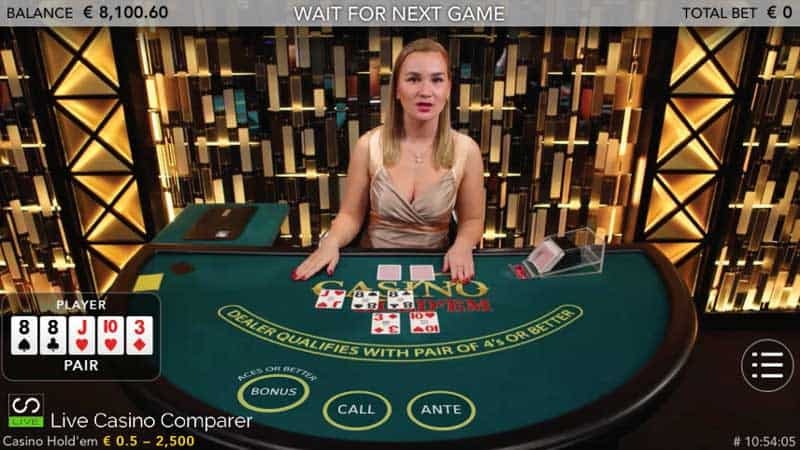 Live Casino Hold’em is the most popular of the Poker derived live casino cards. The version from Evolution gets the nudge from Playtech’s and Ezugi’s for two reasons. The playing interface – which I think is awesome. The Progressive Jackpot. It only costs a £/€ to play and you know what they say, “you’ve got to be in it to win it”! The auto shuffler makes the deck changeovers much quicker than a manual shuffle, so hands don’t take so long to play. There’s a bunch of casinos where you can play Evolution Live Casino Holdem. My pick is Leo Vegas, but there are plenty more to choose from below.